Up till now we have completed the site as a multiple blogging site. But a blogging site is not effective if only few people visit it. Thus it is important to add features that drive traffic to your site. Driving traffic is part of a general business practice called “Digital Marketing”. They must find your site through common sites they use, like search engines (Google) and social sites (Facebook , Twitter, etc). Your site’s content must grab their interest. If they like your content they might want to share them, or find a way to regularly get updates. Here we will focus on No.1 and No.3: the best way of getting No.2 is to add many content your viewers like, which is up to you. When using search engine like Google, the higher your site appears in front of the list (rank) the better chance it gets clicked. Without paying Google advertisement fee, the effort of making your site’s rank higher is what Search Engine Optimization (SEO) does. The site’s rank is determined by user’s search keywords, your site’s content, site organization, whether you use search engine company’s products (like Google +) and else. As search engines use “crawlers” — automated code robots to visit sites and index them — instead of human rating, a site’s rank is also influenced by how easy these crawlers can get your site’s information. Thus SEO also involves adding lots of machine friendly HTML meta tags onto your site’s pages. Thus the simplest (cheapest) way of SEO is to use a wordpress plugin that checks your site’s content/organization and add these meta tags for you. To have social media exposure you must first create a social media page for your website. Then similar to website, share as many content to your social site as possible. 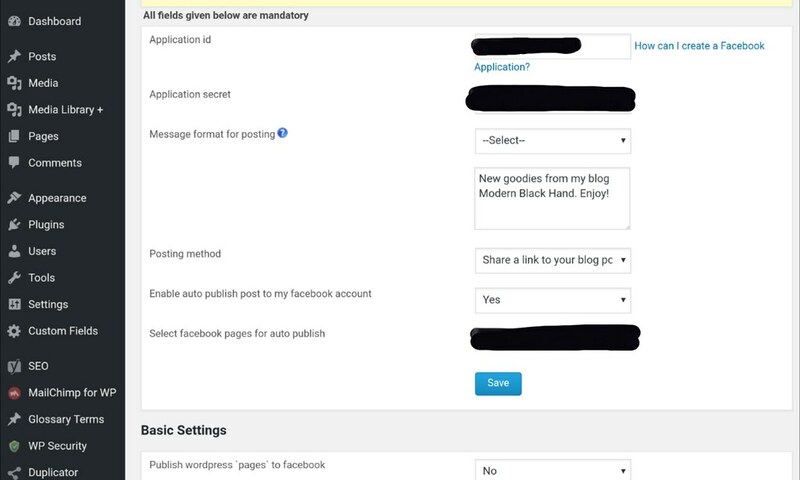 To reduce manual duplicating content between your website and your social site you can use auto-publishing tools plugins. These tools will automatically push your newly published posts onto social sites. If viewers like your posts they might want to share with their friends, now usually through social media channels. Thus making your posts easily shareable can drive more new people onto your site. A good way is to add “share” social icons to every post. Having people regularly visit your site ensures sustainable web traffic flow. The best way to do so is to take the initiative: notify your viewers when you’ve got new things to show. A great way to do so is email subscription. As people regularly read their emails, an email notification about your site has high chance of being opened, and people will then click the email’s link to your site. 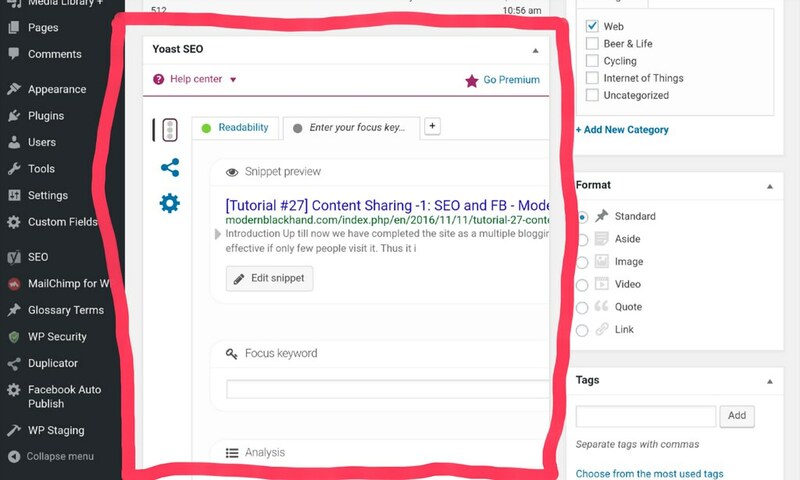 A nice, free SEO plugin is Yoast SEO. Even the free version has a lot of options to configure. The plugin also does basic checks about your content’s readability. To use Yoast SEO you just install the plugin and follows its simple configuration. Yoast SEO post analysis and options. A nice little Facebook auto-publishing plugin is Facebook Auto Publish. After installing the plugin you have to setup a Facebook Application. A facebook app enables registered users to utilize Facebook’s functionality via codes (thus enable automation). Once you have a facebook app account, Facebook Auto Publish needs the app’s app id and secret (think of them as account name and password to login to your Facebook app) found on app’s admin page. Then you just need to do simple configuration of which Facebook page to post, default posting message, and how they should be posted. 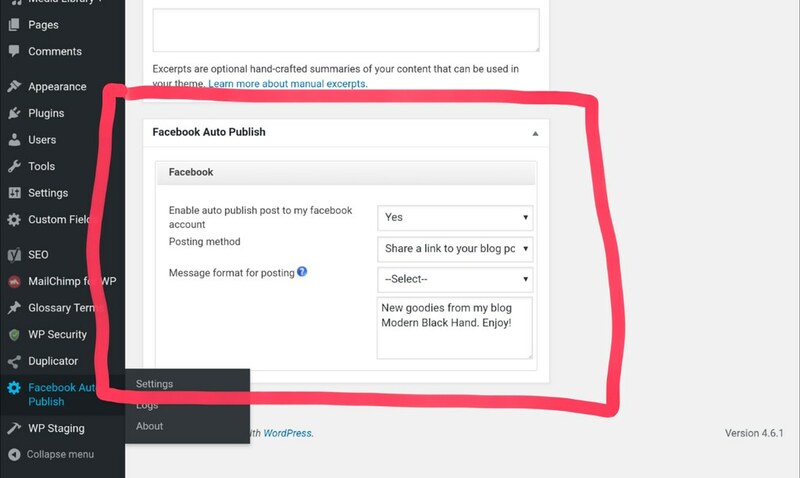 You can further customize which wordpress post type will be auto published. At every post there is also the Facebook Auto Publish widget to customize posting per post.